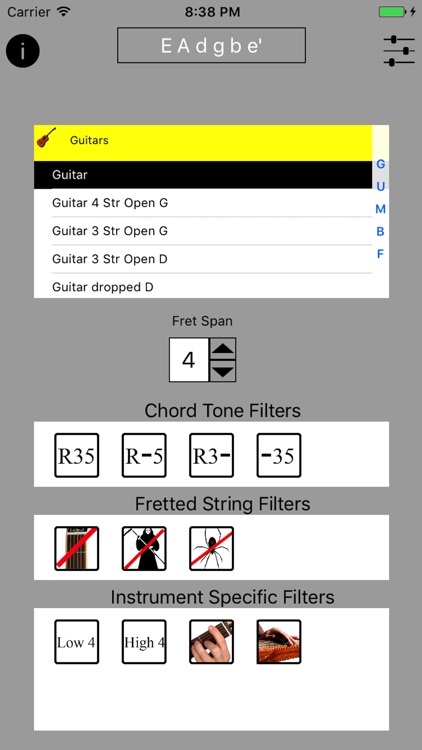 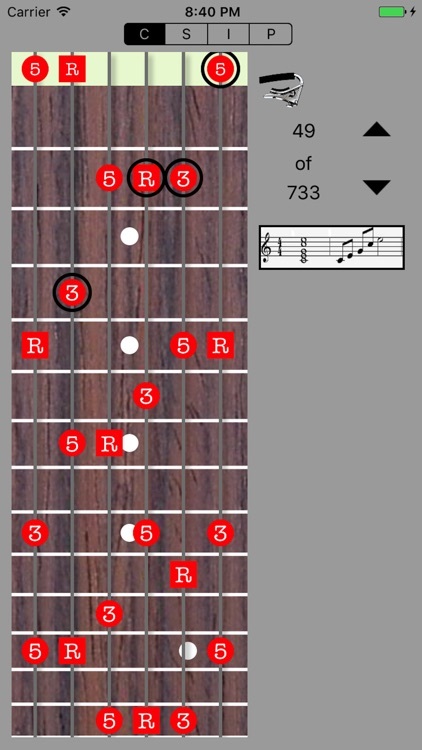 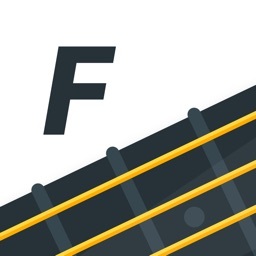 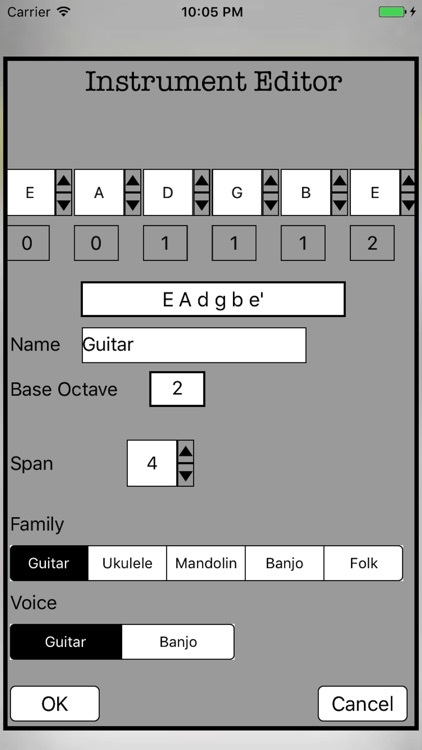 Show all fingerings for chords for a given instrument/tuning, filters, capos, and fret span. 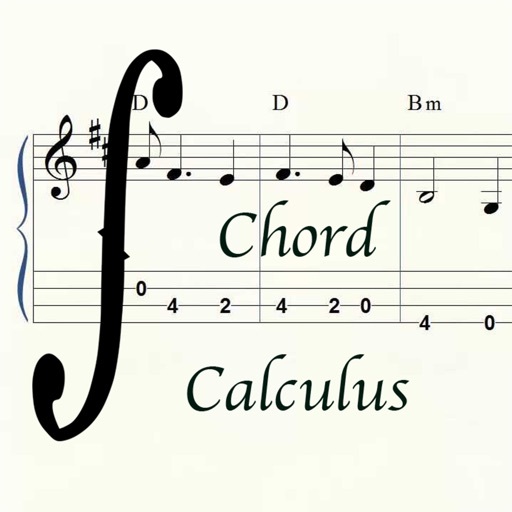 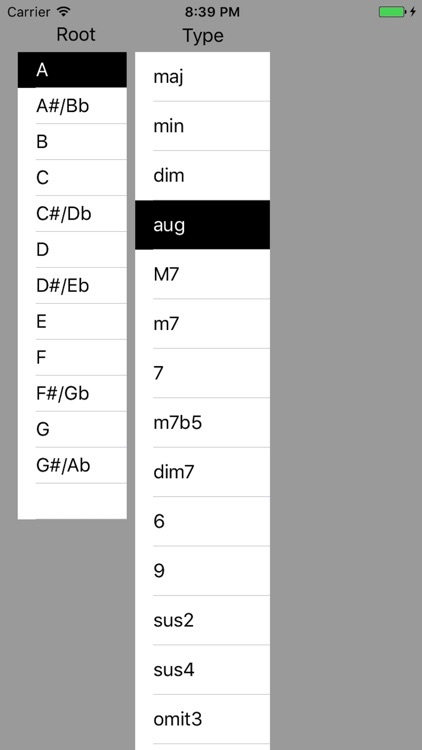 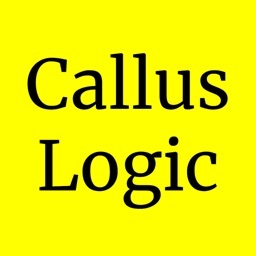 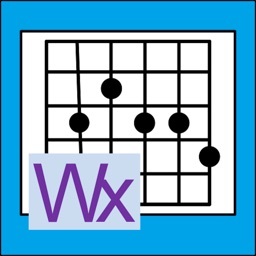 Derived from chord mode, display fingerings for a chord progression. Also plays chords in sequence. 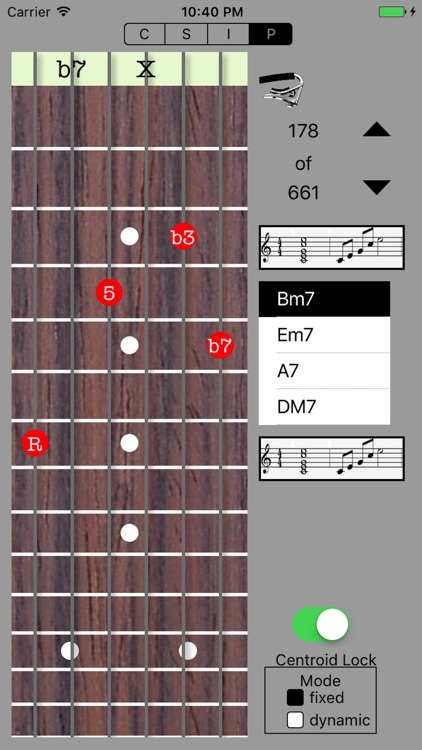 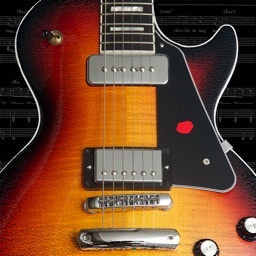 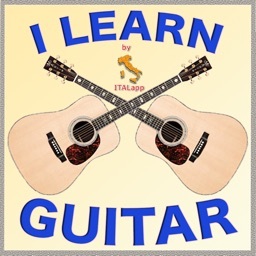 In all cases, the chords can be played as a chord or arpeggio and the scale played back.